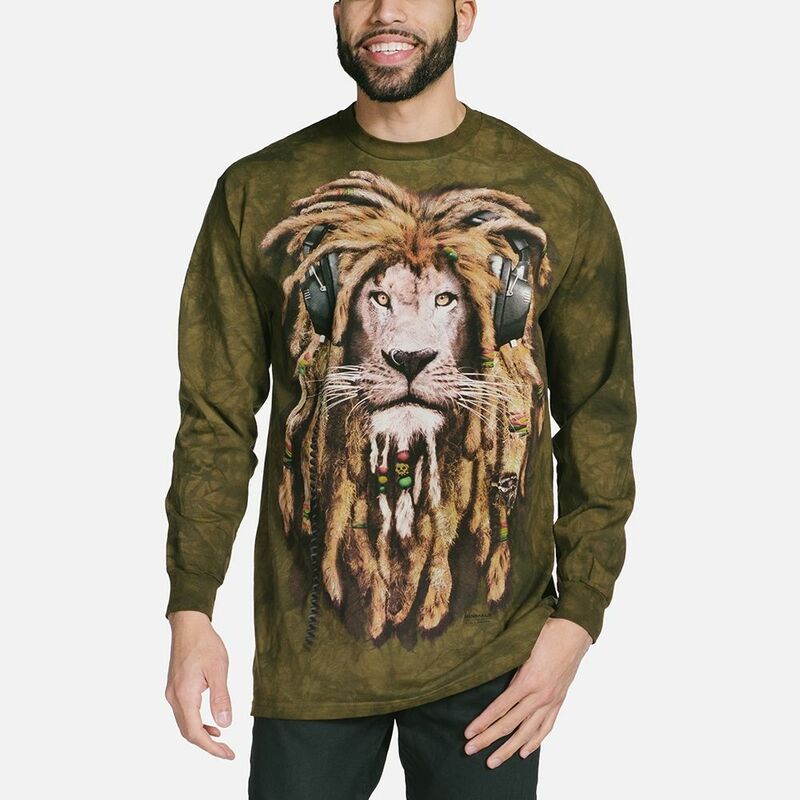 Adult DJ Jahman T-shirt is a Rastafarian lion who is the hippest big cat around! 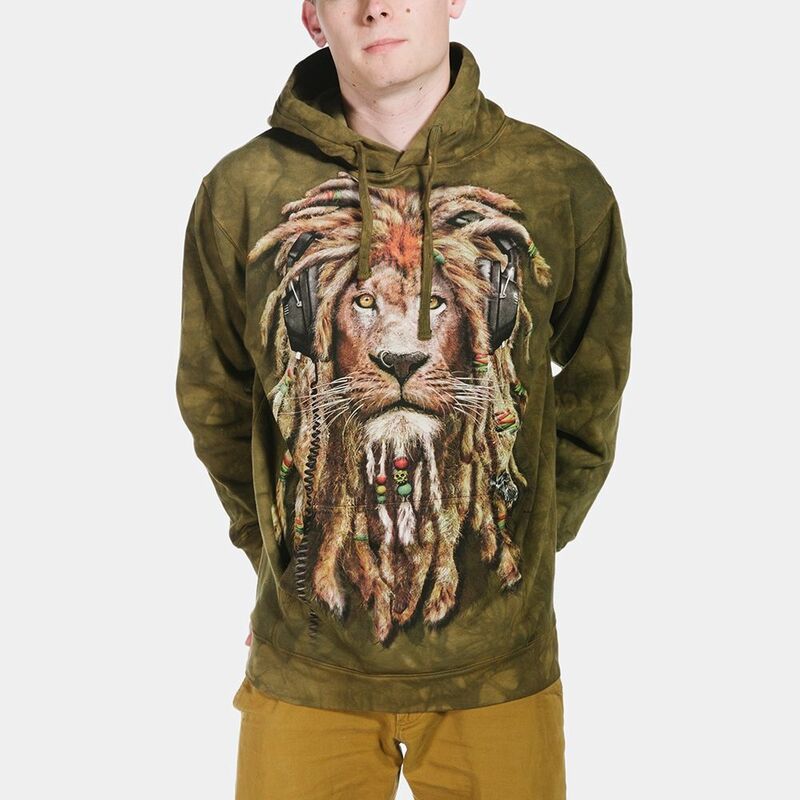 The screen printed image features a lion with dreadlocks and dj headphones. Is this ultra cool lion spinning some reggae and Bob Marley on his decks? This is a great design for festival season!